Storyline: Maria, Jin, and Fatimah are new to school. They each come from a foreign country. Maria liked to play soccer, Jin used to write and read, and Fatimah was the top of her class. But here, at the new school, everything is different to them: the language, the letters, the words, the teaching methods and so on. They are shy and they feel confused, sad, and alone. But they try very hard to learn and show that they are talented and can be good friends. Day by day they learn new words, and new skills. One day, a kid at the playground recruited Maria on his team, another day Jin gets English words just right, and finally, Fatimah shows how well she can draw. And so, the first step towards a new culture has been passed. 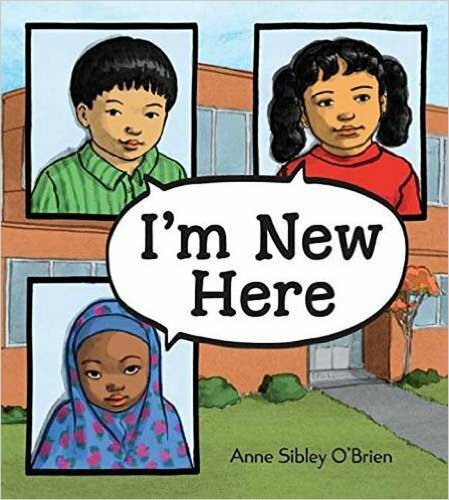 This is a book about kids from other countries that are trying to fit in American schools and reflects very well the diversity of the classroom in modern United States. Illustration: Anne Sibley O’Brian is also the illustrator of the book. The drawings are realistic and simplistic. They fill up the page, and has few or no details or other decoration. You cannot get lost contemplating the artwork. Which makes it very easy to fallow by anybody. The characters are common but made to be pleasant.